Inspired by Giada De Laurentiis’ Orzo Stuffed Peppers recipe, I decided to significantly change the recipe based on items I had in the pantry to make a Southwestern twist on stuffed peppers. To make the stuffed peppers, begin by preheating the oven to 400 degreed Fahrenheit. 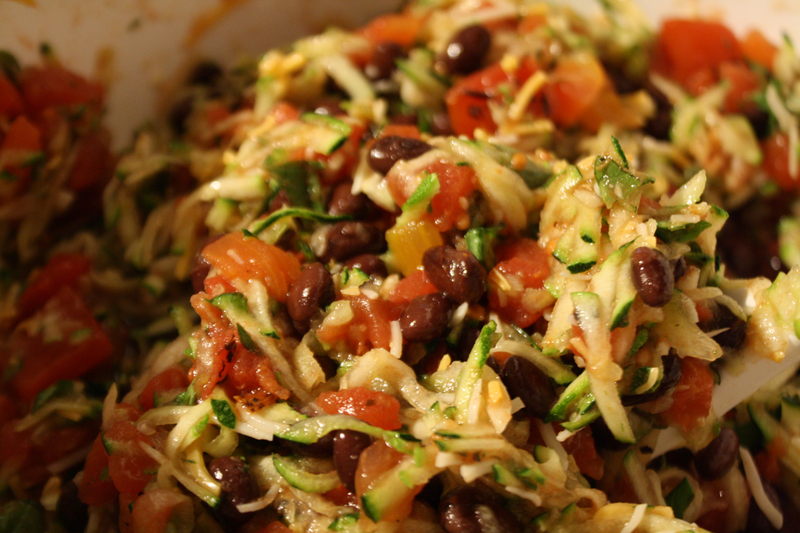 In a large bowl, mix together the tomatoes, zucchini, beans, cheese, herbs, garlic, oil, salt and pepper. Because the zucchini adds extra moisture to the mixture, be sure to drain the tomatoes and the beans well. Bring the chicken stock to a boil in a pot and add the orzo. 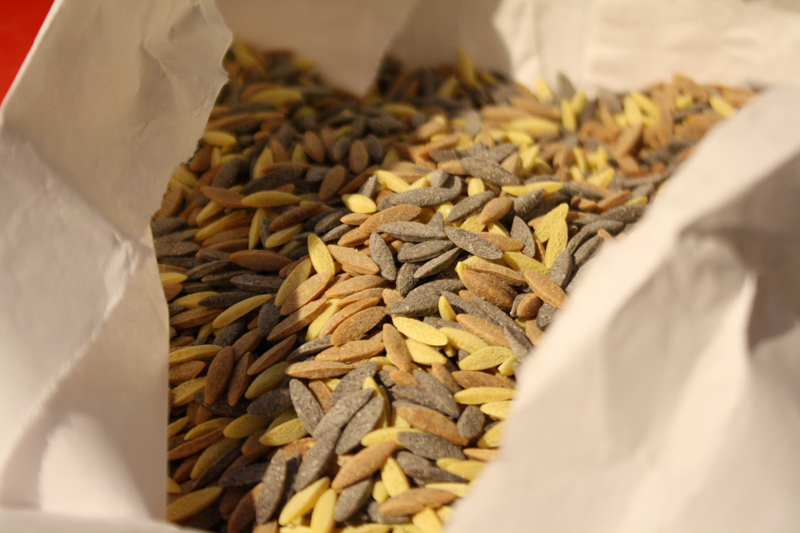 Jill and I bought Southwest Orzo from the same Pappardelle’s pasta stand at the Winter Park Farmers’ Market where we bought the mafaldine featured in our Eggplant and Zucchini Pasta Bake and our Another Delicious Mafaldine Recipe posts, but any orzo should work. Cook the orzo for 5 minutes. Strain the orzo from the chicken stock, pouring the stock into a 9 by 13 inch baking dish. 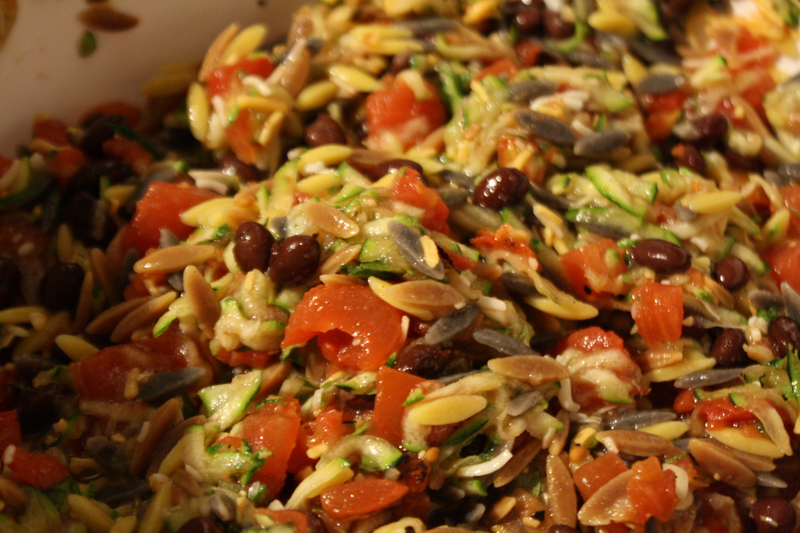 Mix the strained orzo with the pepper filling until combined. Remove the tops from the bell peppers and carefully remove any seeds and ribs. Fill the peppers with the stuffing and place the peppers in the baking dish with the chicken stock. 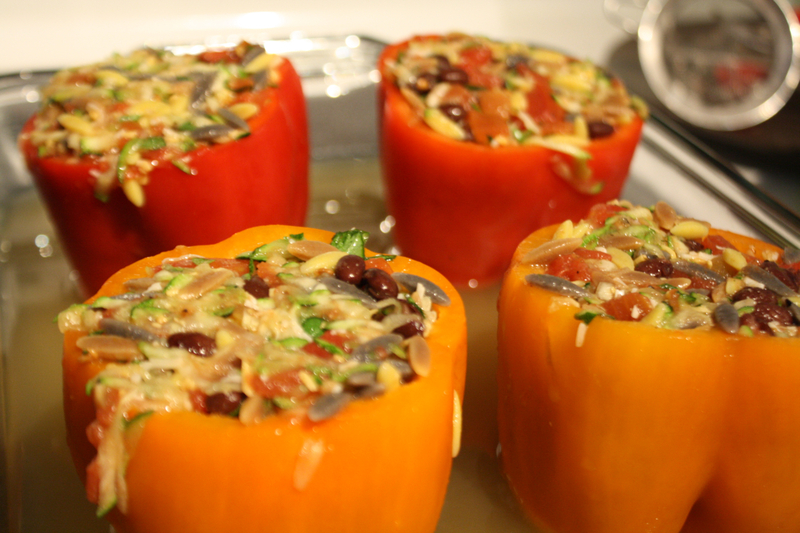 Cover the baking dish with aluminum foil and bake the stuffed peppers for 45 minutes. Let the peppers cool briefly and serve on a bed of fresh spinach. 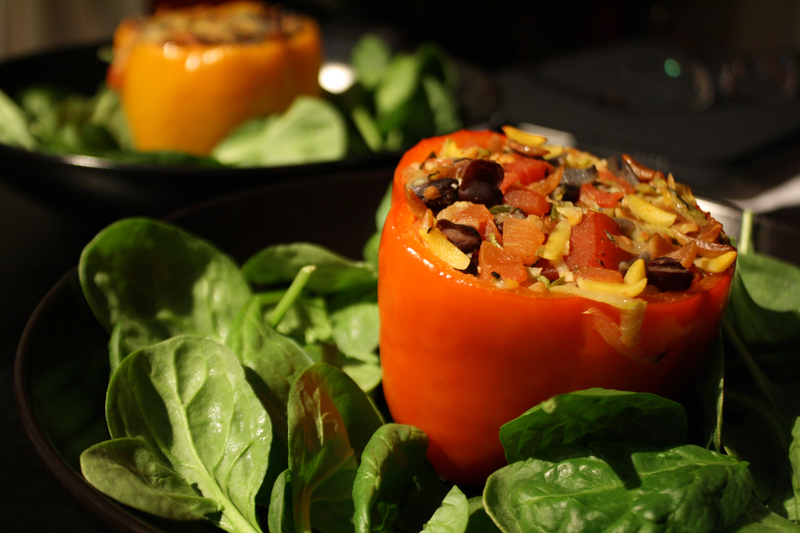 These stuffed peppers make a light, healthy dinner with bold flavor. Left over stuffing can be cooked in a pot until the orzo reaches the desired tenderness and served as a pasta dish.